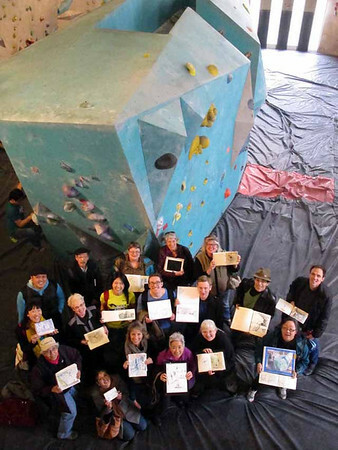 The Seattle Urban Sketchers gathered today at the Seattle Bouldering Project It was a good venue for a day that turned from sun to rain and hail! 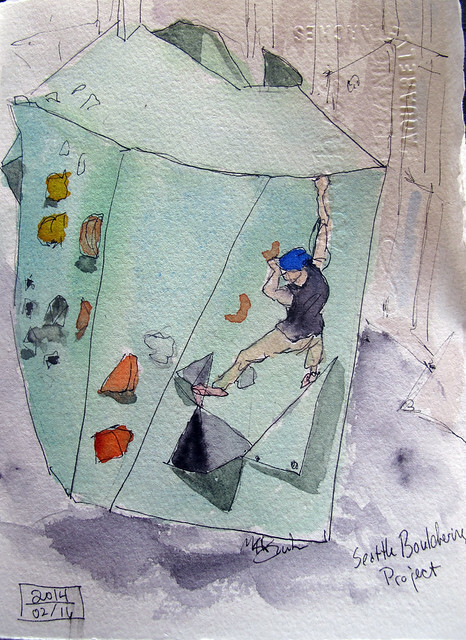 It offered the challenges of perspective and geometric shapes as well as sketching people in action. 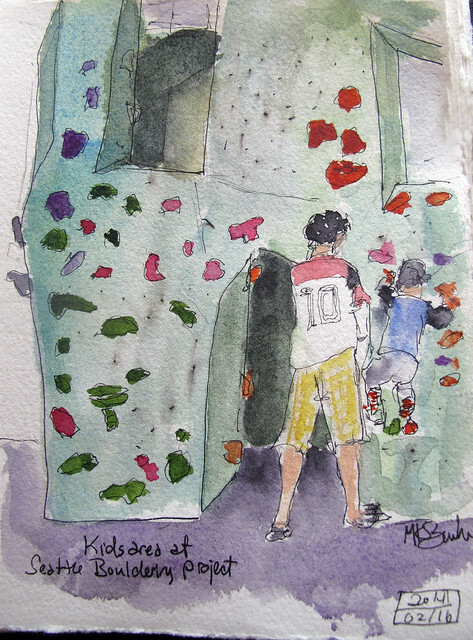 There were three floors of climbing walls. I started slow.... in the children's climbing room on the lowest floor. They didn't move quite as fast! I moved up to the mezzanine with several other sketchers. This section of wall seemed particularly challenging as many climbers fell. It leans out in such a way that it must be very hard to hang on.